Via AirbnbKLM has transformed one of its jets into a temporary living space. No one wants to be forced to spend the night at an airport. The dreaded experience usually involves clinging to your luggage while trying to cram yourself into a tiny gate chair. But the new instalment of Airbnb’s “Night At” campaign might just make you think differently. Technically, you wouldn’t be staying in the actual airport, but on the airport’s runway — in your very own private aeroplane apartment. Via AirbnbThe cabin has been turned into a loft, equipped with all the accommodations of an apartment. 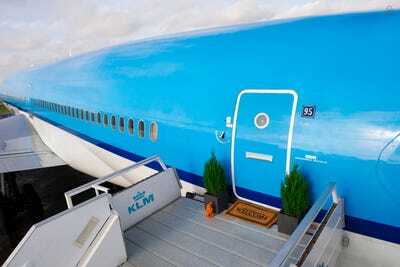 Via AirbnbKLM asks that you make sure to water the plants. 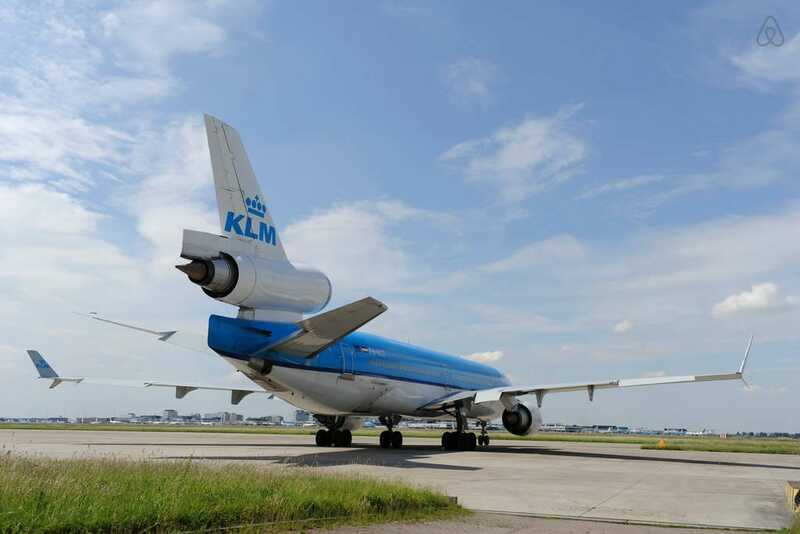 KLM asks that you “treat our plane like you treat your own plane.” Which means that the other house rules include: no marshmallow roasting with the jet engines, no smoking when the non-smoking sign is on, and the use of the inflatable emergency slide is strictly off limits. The listing also asks that you kindly make sure to water the plants and feed the fish. 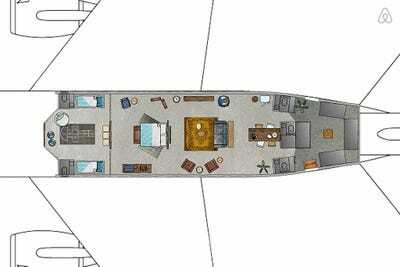 Via AirbnbThe king-sized bed in the master bedroom is better than sleeping in your seat. 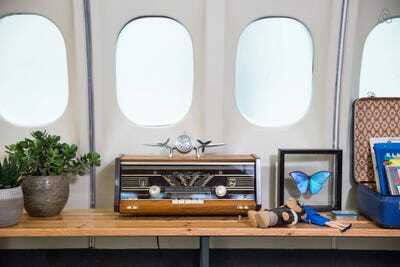 The plane has 116 windows through which you can watch other planes on the runway take off and land. 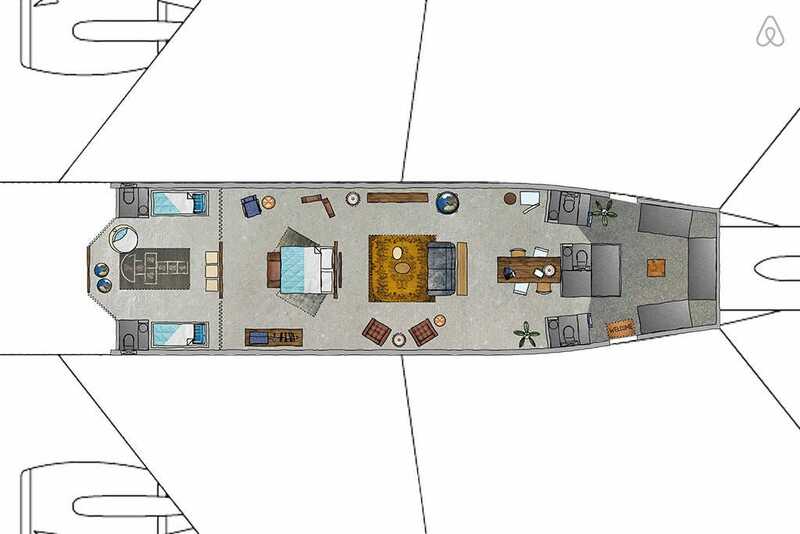 The aeroplane apartment also has a a giant cockpit panorama window. Via AirbnbThere’s no need to fight over if the window cover should be up or down. 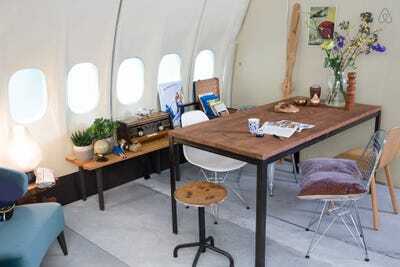 Only three winners will be picked to stay in this stylish aircraft loft. KLM will fly the winners out to Amsterdam, and they will be able to spend the nights of November 28, 29, and the 30th in the renovated jet. 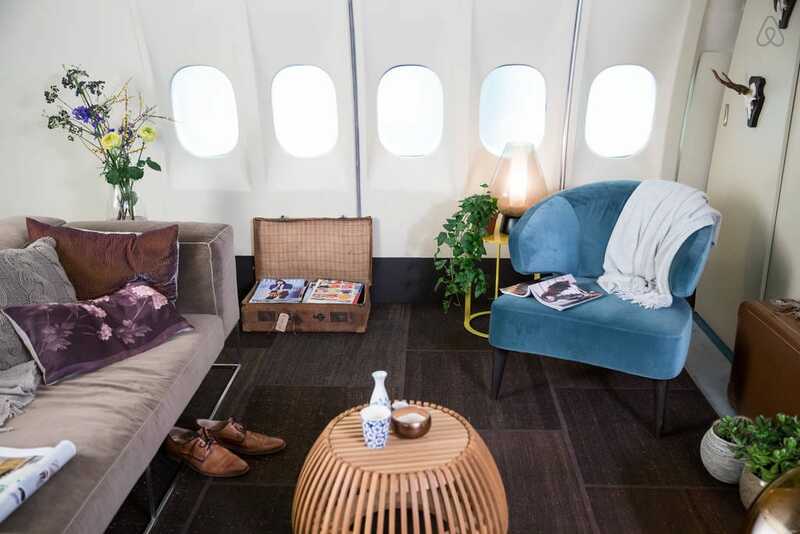 This is just the latest in strange accommodations from Airbnb “Night At” campaign — previous listing include a chance to spend the night in one of Ikea’s fake homes, a historic French Châteaux, and one of London’s largest bookstores. Via AirbnbTravellers would stay on the busy runway of Schiphol Airport.